The Halifax Rowing Association’s Learn to Row Summer Youth Camps are designed to introduce new or lesser experienced athletes to the fundamentals of rowing. NO ROWING EXPERIENCE IS NECESSARY! Participants will focus on safety, rowing terms, and the fundamentals of the rowing sequence during the week-long camp. By week’s end, these young rowers will have a good understanding of what rowing is all about! Rowing is a progressive sport. Each day participants will learn something new about the sport of rowing, building on what was learned the day prior. Camp will be held rain or shine! The first two hours of camp will be spent on rowing basics; the second half of the session will be team-building and other fun activities! At the end of the week, the rowers will enjoy a pizza party! Rowers MUST know how to swim! They will complete a swimming test on the first day of camp. They won’t be swimming laps but they will need to demonstrate that they are comfortable treading water and have some basic understanding of how to move in the water. As the swim test will be in the Halifax River, we strongly suggest that your rower has old athletic shoes or swimming booties to keep their feet somewhat protected. The boathouse has complete showering facilities so rowers can rinse off prior to returning to camp activities. Waivers are required prior to participating. Once your registration is received, you will receive a link to complete these forms. 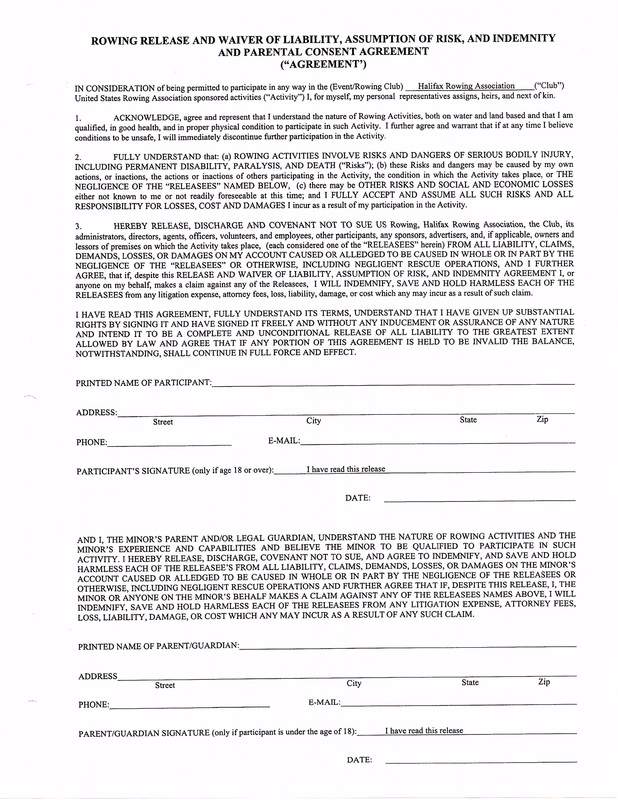 Athletes will not be permitted to participate without these completed forms. Spandex shorts or tights – nothing loose fitting, t-shirt, athletic shoes, socks, sunscreen, sunglasses, lip balm, hat, reusable water bottle, and a small hand towel. 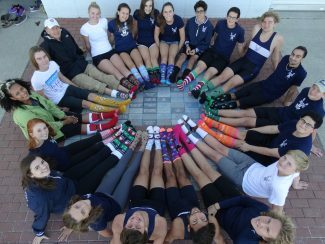 Ted Swinford – Head Coach – World Rowing Champion, 7-Time National Rowing Champion and Olympian, Ted Swinford has years of experience teaching young student athletes how to succeed on and off the water. Ashley Block – Assistant Coach – A former rower with the University of South Florida, Ashley Block has spent the last four-plus years working with our Middle School and Masters (adults) teams to fine-tune their rowing skills and deepen their love of the sport! The fee for the Rowing Summer Camp is $150 for the week. The camp is open to any and all boys and girls, ages 12 – 18 (6th to 12th grades). Full payment is required prior to the camp. Fees may be paid online (there is a small convenience fee associated with online payments). If registering by mail, please make checks payable to Halifax Rowing Association. If you need to cancel your child’s reservation prior to the beginning of any camp session for any reason, you will be refunded the amount less a $25 administrative fee. Refunds will not be issued after the start of any session. A registration form can be found below. 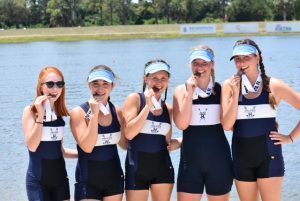 Please complete and mail with your check to HRA, PO Box 1645, Daytona Beach, FL 32115 or if paying online, you can scan/email to halifaxrowingassn@gmail.com or bring the completed form with you on the first day of camp. Campers registering as a part of a group of 3 or more are eligible to receive a $15 discount off each camper’s registration fee.